Heidi is a Managing Partner at Rethink Impact. Previously, she was President and Head of Communities Investing for New Island Capital Management, an institutional-scale and 100% mission-focused investment advisor to a single ultra high net worth family. In this capacity, she helped grow and run the firm while also focusing on early stage private equity investing in online marketplaces, sustainable food and consumer brands, alternative financial institutions, and local living economies. She sat on New Island’s Executive Team and the Investment Committee, overseeing 100+ investments, across multiple asset classes, in sustainability, conservation, education, economic development, sustainable agriculture, and green real estate. Prior to this, Heidi was an Acumen Fund Global Fellow working with D.light Design India, a social enterprise operating in India, China, and Tanzania to eradicate kerosene through the design, manufacturing and distribution of solar-powered LED lights. Before Acumen, Heidi was a Director at Pacific Community Ventures, a double bottom-line private equity fund and non-profit organization in San Francisco, California focused on small businesses creating high quality jobs in low-income neighborhoods. Previously, she was a founding member of AOL Time Warner Ventures and worked in Investment Banking at Deutsche Morgan Grenfell and Credit Suisse First Boston. Heidi Patel teaches (and co-created) a course on institutional impact investing at the Stanford University Graduate School of Business and she serves on the Investment Committee for the Stanford GSB Student Impact Fund. 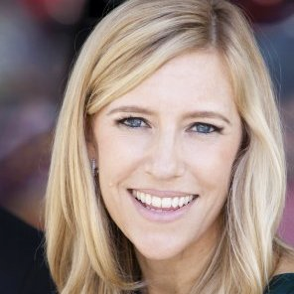 Heidi is an advisor to Impact America (another women-led impact investing firm) and board member of Goodwill Industries of San Francisco, Marin and San Mateo. Heidi’s work in social enterprise and impact investing has been featured in the Wall St Journal, NPR’s Marketplace, Fox Business News, Forbes.com, Huffington Post, Ladies Home Journal, AOL’s WalletPop, Rick Roberts Show, and the Acumen Fund blog. Heidi earned an AB from Princeton University and an MBA from the Graduate School of Business at Stanford University.